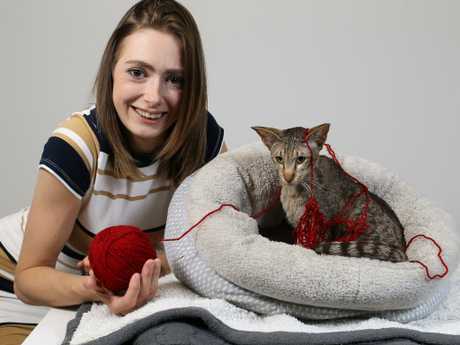 OUR feline friends may love to play with a ball of wool, but one cat from Ipswich has learnt the hard way what happens when you make a meal out of yarn. 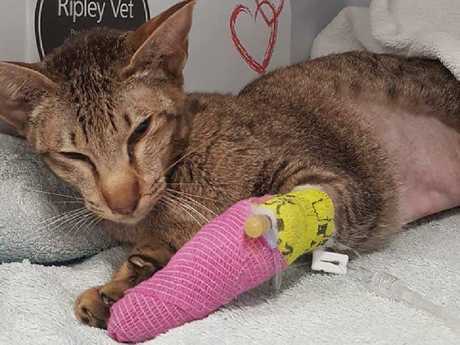 Leica the cat needed four hours of emergency surgery on Wednesday at Ripley Vet, after ingesting over 3.5m of wool out of her owner's suitcase. The wool had manage to stretch from her stomach to her lower intestine, and had caused a number of cuts in the lining of her colon. Leica's owner, Marjie Pathuis, is a keen knitter, and first noticed Leica was unwell on Monday. "I think it was either Friday or Saturday that she actually got into the yarn, but that day she had also gotten into a big bag of food," she said. After a trip to the vet, Leica was X-rayed and ultrasounded before veterinarians at Ripley Vets decided they had little choice but to operate. "I felt terrible, words can't describe it really," she said. 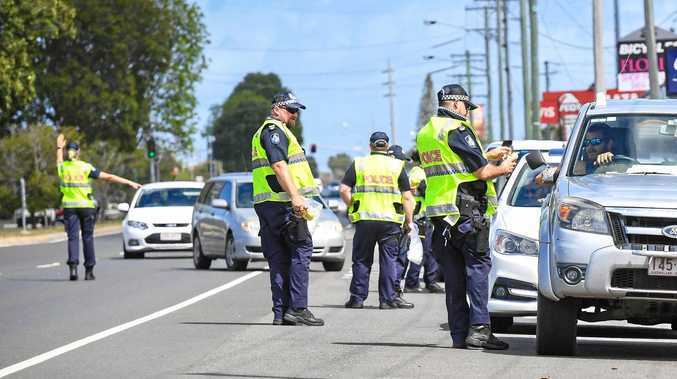 Ms Pathuis said Leica was making a speedy recovery, but she wanted to ensure there was no chance of this happening again. "I'm going to make sure everything is out of the way, I'm pretty much childproofing my house,'' she said. Dr Andrew Hemming, who was one of the two vet surgeons who operated on Leica, said the surgery was a marathon effort. "It's not that common, but what was interesting was that the wool went all the way from the stomach all the way to the bottom basically," Dr Hemmingway said. He said the procedure was complicated by the wool causing mayhem in Leica's colon. Parts of Leica's colon had folded onto itself as a result of the wool and had died, meaning she had to have surgery to remove the dead parts. 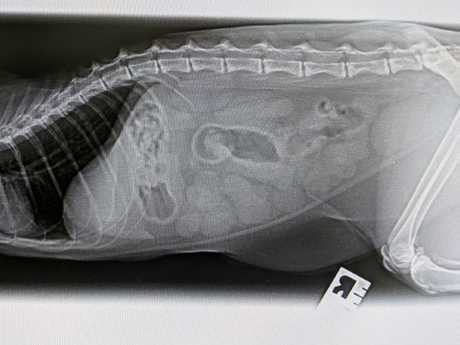 An X-ray shows the wool bunched up in Leica’s intestine. Leica feeling a little worse for wear after her ordeal.